Honest E-Liquids is a brand dedicated to providing one of the tastiest juice for vaping that consists of Cream and Sugar, Guava Passion Fruit, and Strawberry Peach Lemonade. It’s flawless again with another mystery box deal. This time you can pick your nic level which is nice. They have a crazy collection of juice so this mystery box is a true pot luck. You can get the $4.99 deal for a short time. They also have a 180ml mystery bundle for $8.99 – Again you can pick your own nic level. It’s more Breazy madness with another great deal. 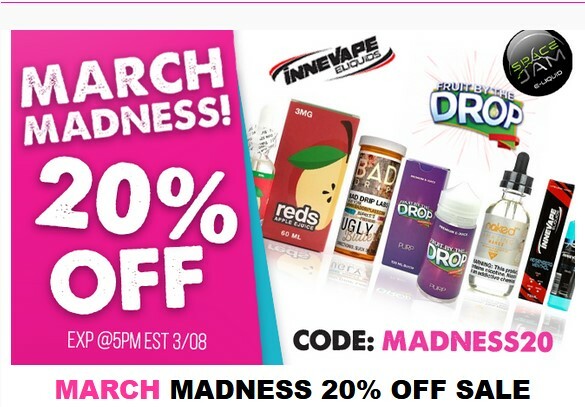 This time its 40% off nice salt ejuice. All juices in the link provided are 40% off (after coupon) including juices already on sale! Here is a bonus from Breazy. For the rest of the day your getting free shipping site wide! No minimum orders – no expensive shipping on super heavy orders. One sale items + free shipping is always a good thing! Do not confuse this with the normal Uwell Crown 4. This tank has been taken to the next level by Project Sub-Ohm. Project Sub-Ohm® has collaborated with Uwell to bring you the PSO Edition Crown 4 Sub-Ohm tank, a gorgeous re-color of an amazing vape tank. This edition of the Crown 4 Sub-Ohm tank features laser etched designs and comes in a premium packaging. More importantly, this Crown 4 Edition is the first to come packaged with two 0.23 ohm FeCrAl Mesh UN2. Style and flavor goes hand in hand with the Project Sub-Ohm® Edition Crown 4. The Crown 4 has a 24.5mm base diameter chassis with a 6 milliliter maximum e-liquid capacity and utilizes the new and improved Crown IV Parallel Coil Design. 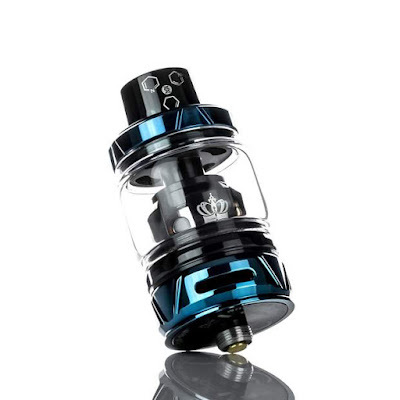 The Crown 4 Sub-Ohm Tank has a maximum diameter of 26mm and features a metallic blue and black finish that features the Project Sub-Ohm theme. This vape tank features a 90 degree threaded top fill method that unscrews to reveal four fill ports. The top cap comes etched with a Project Sub-Ohm® labeling. The Crown 4 utilizes the new and improved Crown 4 Plug and Pull replacement coil style, with a threadless design that features reinforced seals to provide a liquid tight fit and finish. Each coil features a vertical coil arrangement and triple vertical wicking slots for rapid wicking. The Crown 4 Replacement Coils consist of unique materials such as the SS904L and the FeCrAl (Iron, Chromium, Aluminum) Coils. The Crown 4 Coil Family comes with a 0.2 ohm Dual SS904L coil head rated at 70 to 80W, a 0.4 ohm Dual SS904L coil head rated at 60 to 70W, a 0.25 ohm SS304 UN1 coil head rated at 55 to 65W, and finally the 0.23 ohm FeCrAl UN2 Mesh coil head rated at 60 to 70W. All in which contains organic cotton. The adjustable bottom airflow makes for smooth and effective airflow, and can be fully closed to seal the system effectively. Each individual PSO Edition Crown 4 has a unique serial number that can be seen at the base of the atomizer. Each drip tip comes laser engraved with a stunning Project Sub-Ohm® logo. 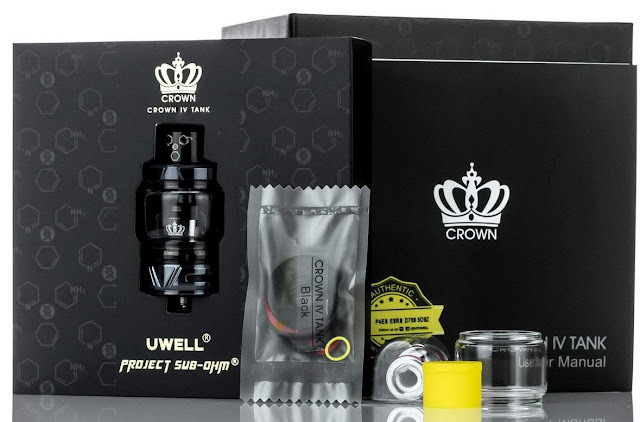 The Project Sub-Ohm® x Uwell Crown 4 Sub-Ohm Tank is a vape tank with amazing construction, a convenient Plug and Pull coil system, and absolutely stunning design that is a must have for any vaper. Fit with PSO engravings/logos, with serial number to identify purchase. SLAM DUNK SAVINGS! YETI BUY 1 GET 2 FREE SALE! + MOD DEAL! Get ready to vape Yeti! Right now Yeti is doing the very rare buy 1 get 2 free sale. This sale happens only a few times a year. It works on 30ML, 60ML, and 120ML juices. Simply put 3 of the same sizes in the cart and 2 will be deducted! Also don’t forget to check out their mod deal! Its pretty epic! By vapor-Thursday, March 14, 2019-Uncategorized-Comments Off on SLAM DUNK SAVINGS! YETI BUY 1 GET 2 FREE SALE! + MOD DEAL! Well who doesn’t like dessert? 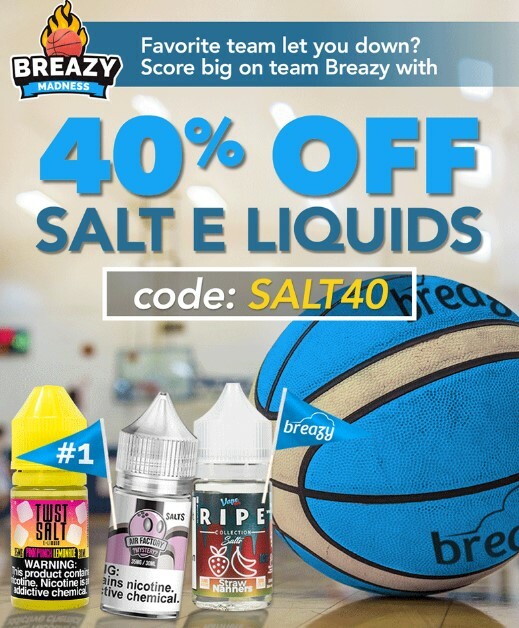 Breazy is doing a 40% off sale on ALL dessert flavors. This includes flavors that are already on-sale. Any size or company in this category is 40%. 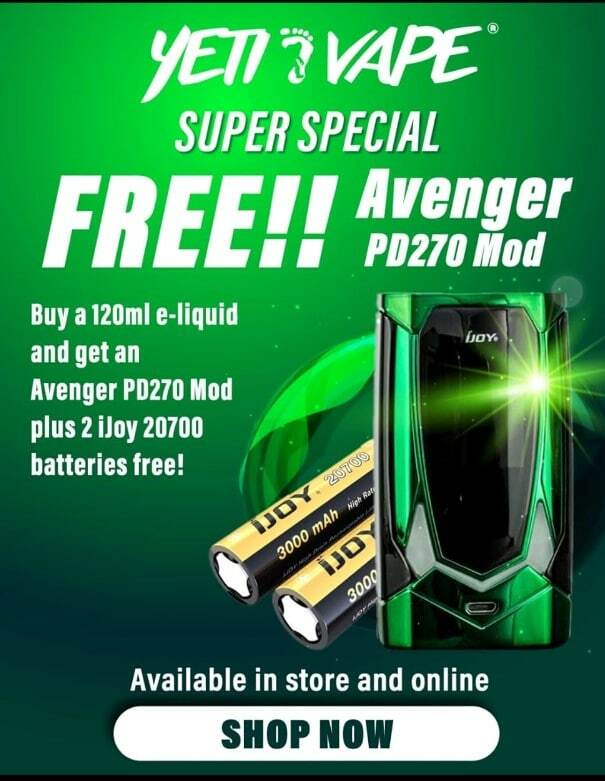 The link I provide is all the ejuices that can use the 40% off coupon. The restock of Broke D**ks limited edition is underway. So far 6 of their most popular and limited edition flavors are back and now in 120ml. Out of the bunch Orange Candy is my favorite. It was the first limited edition and still one of the best! Also check out there bundle section. Here in NJ its been a mild winter. 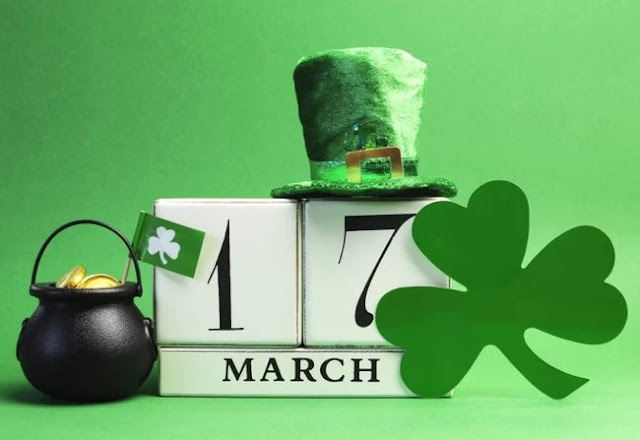 It felt like spring was just around the corner most of the time, Well its now March and Spring is most defiantly around the corner and with Daylight Savings — Breazy has made it into a deal! You will get 40% off all best sellers even those that are already on sale! Flawless is running a fantastic sale. 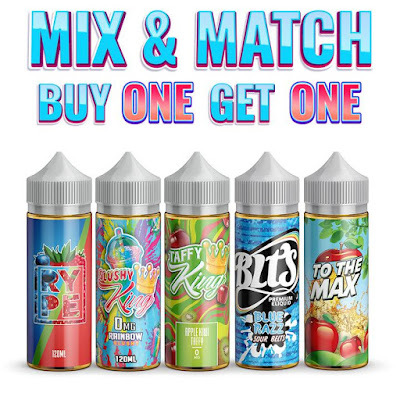 Build your own bogo! 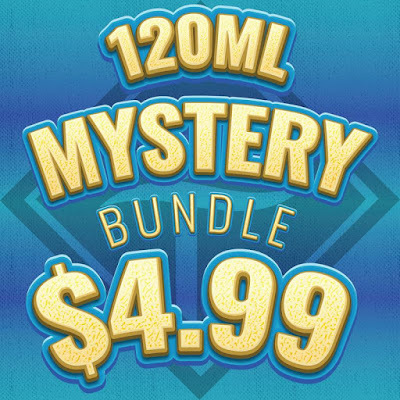 Pick two 100-120ml juice brands/ flavors / nic levels – for just $19.99. 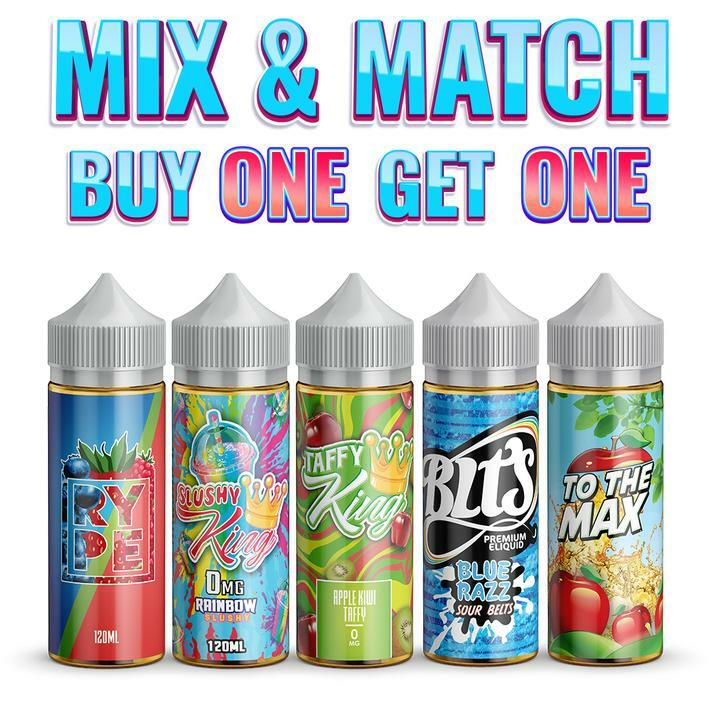 This is a great way to try a new juice company or stock up on the flavors you already love at a nice discount! 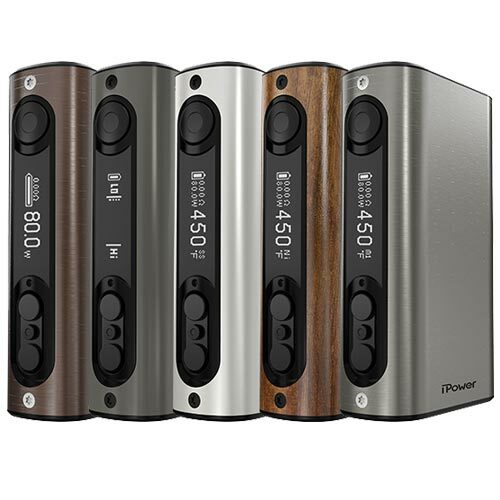 By vapor-Tuesday, March 5, 2019-Uncategorized-Comments Off on BUILD YOUR OWN BOGO! Broke D*ck has just went live with a new flavor. This one promises to be one of his best! This juice can be combined with another juice to get the 2 x 120ml – $23.00 + free shipping deal. Also don’t forget to check out their Magnum line with 25% more flavors and their bundle packs! It’s march madness over at Fugginvaper. 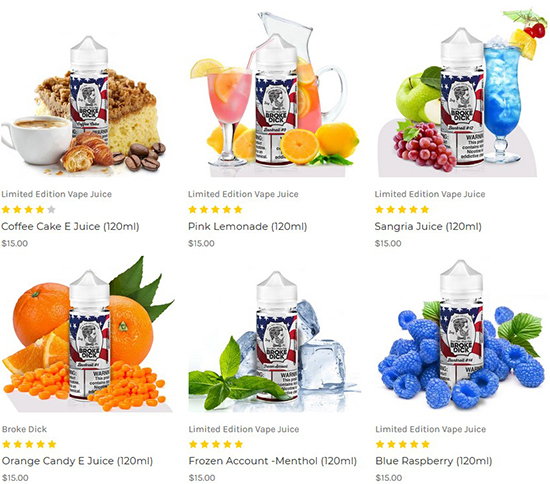 All juices on the landing page have a coupon that takes an additional 20% off. Some 120ml is only $8.00! This includes juices already on sale. Be sure to check out their other bogo and bundle deals! I put this up once a month – when they are in stock. this deal always sells out. To this day one of the best mods all around. The reason is the super simple design, power, and built in 5000 maAh internal battery. For me 80 watts is enough power for my vaping needs and since there are no batteries to fuss with – no chargers are needed. These are excellent for traveling and charge via a simple micro usb cable. They also look very elegant and are a nice size. This deal is one of the best prices going in the USA and are the same if not better than China. I own two and use them daily. 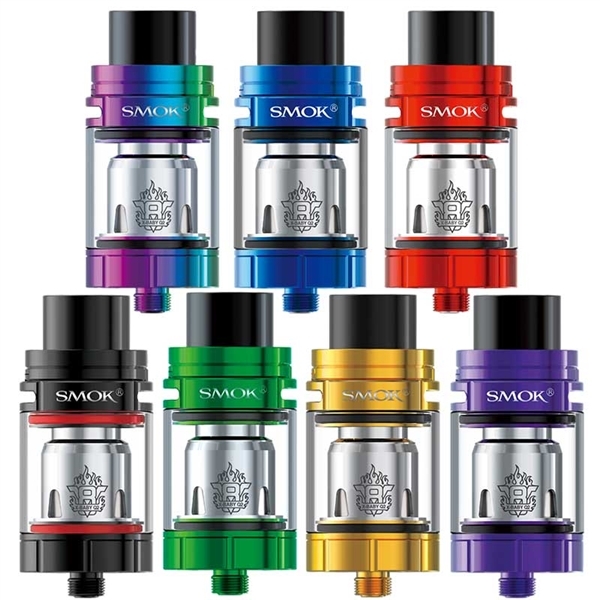 Here is a fantastic deal on a great sub ohm tank. The website will say $4.99 but that is for the stainless steel which is out of stock. The price I’m showing is for all the different colors which at the time of this post are all in stock. Just a great price! Below wholesale.